The fate of India’s oldest private airline, Jet Airways, was in the balance at the weekend amid reports of huge debts and the suspension of 12 international flights including the newly-introduced Manchester – Mumbai service (BTN 12 November 2018). The company was said to have been forced to ground more than two-thirds of its 119-aircraft fleet because it was no longer able to pay leasing companies and to have run up debts of more than £750m. Faced with elections next month, the Indian government is trying to save the airline, which has 23,000 staff, and is asking state-run banks to step in with a bailout plan, an unusual move when dealing with a private company. Along with the Manchester service, the airline was reported to have suspended operations to Hong Kong, Abu Dhabi, Riyadh, Dammam, Singapore and Dhaka, among others, until at least 30 April. 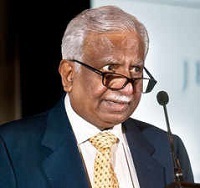 Rescue talks are being headed by the State Bank of India (SBI), whose head, Rajnish Kumar, said on Thursday lenders were close to working out a resolution plan but who has also called for Jet founder and chairman Naresh Goyal to be replaced.